Every Sparta vehicle owner has to purchase tires at some time or another, so it's a good idea to understand what the choices are. The best seasonal performance is achieved by purchasing tires to match the season you are driving in. Summer tires are designed for hot temperatures. The tread is engineered for good traction on dry or rainy Illinois roads. But the rubber compound in summer tires gets stiff when temperatures drop below 45°F (7°C), and snow and mud can pack into the tread, reducing the traction of the tire. Winter tires are designed for good traction on snowy surfaces. The tread actually throws snow off of the tire as the wheel turns. The rubber compound in a winter tire is soft so that it will remain flexible at temperatures below 45°F (7°C). At higher temperatures, however, the softer rubber wears down rapidly. All-season tires sacrifice some of the extreme performance of summer or winter tires, but they maintain adequate traction in either type of Sparta weather. So your first consideration when buying a tire is where you live in Illinois, and where you usually drive. If you require maximum summer and winter performance you can go with dedicated summer and winter tires; you would just need to change out your tires each spring and fall. For serious winter driving in Illinois, look for tires with a severe snow rating. These tires are labeled with a mountain-and-snowflake logo. Your second consideration is the quality of tire to purchase. Summer, winter and all-season tires come in a variety of grades and styles at Illinois tire stores. Sparta drivers will want to purchase a tire that will give them good wear and that will handle their driving style and road conditions. Your Charlie's Fast Lube Sparta tire professional can give you auto advice as to which type of tire will best fit your needs. Sparta vehicle owners who drive off-road around Illinois may want to look at a high-grade tire that is designed for off-road use. These tires are designed to handle the extra wear of off-roading while still giving good performance on Sparta streets and roads. There are a number of options to choose from so that you can find the right tire whether you are only an occasional off-road explorer or a serious rock climber. New wheels can be purchased in Sparta as a statement of style or to add personality to your vehicle. There are almost unlimited options. 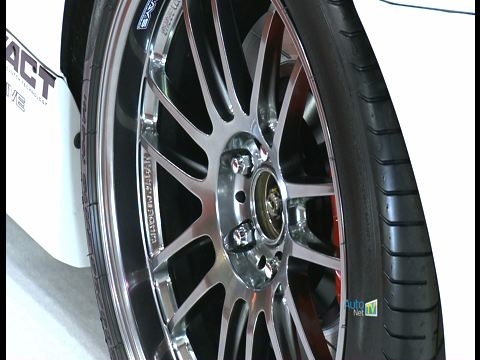 If you change the size of the wheels on your vehicle, however, you will need to get some professional help to make your vehicle compatible with its new wheels. Talk to your Charlie's Fast Lube Sparta for more information about tires.